Using TCA as an at-home treatment for tattoo removal is not recommended. Not being a trained professional who has worked with it before, you risk scarring your skin and damaging the tissue beneath. It is very risky. 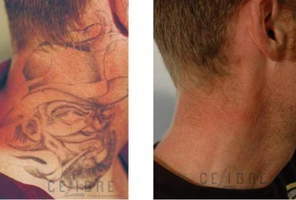 You'd be better off finding a licensed professional to treat in this manner, but even better is laser tattoo removal, which has greater success. This is only available to licensed personnel. I would advise caution before trying anything but laser as you can end up with burns and scarring. Seek a consultation with an experience clinic and practitioners.